We traveled to Roanoke for Easter and it was really nice to get to spend time with mom and my brother Nick. It was also a lot of fun for us all to be staying at the same place. Since Nick is at college and now Brian and I live away its interesting for us all to be home. Brian and I both had fun catching up with friends and family. We stayed really busy and honestly spent most of Saturday apart. 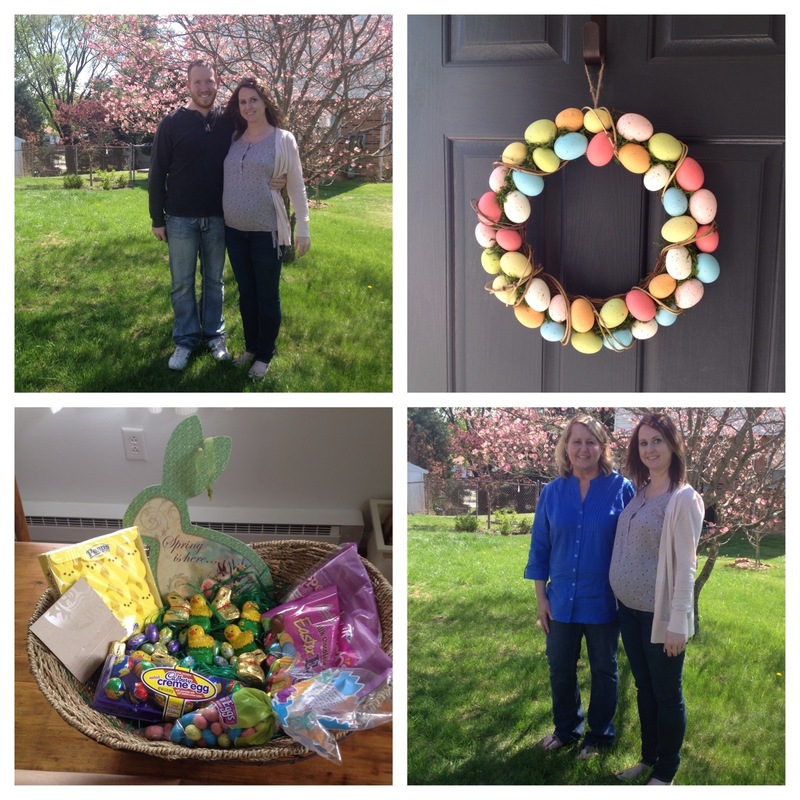 Here’s a quick collage of my Easter. Clockwise from top left: Brian and I (please excuse my weird face in these) and my growing bump. The Easter wreath I have been lusting after at Target, Threshold. I scored it at 50% off Monday. My momma and I (and the bump). I could go on and on about how amazing she is. I am one luckyyyy lady. The Easter basket we made for mom. She is always so great to send us cards, and other things and make every holiday awesome so this year we treated her.